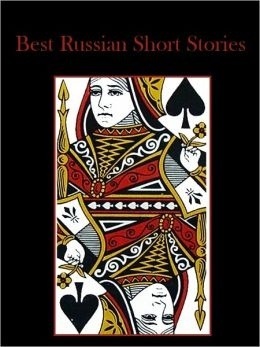 I own “The Queen of Spades” as the “cover story” in an e-book titled “Best Russian Short Stories” where a queen of spades card is the picture featured on the “cover” page. I’ve read ten of the nineteen stories the volume contains and have enjoyed them immensely. 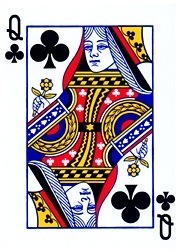 This story begins with a card party “at the house of Narumov.” The reader is immediately drawn to a character, Hermann, who seems content to only observe the games the others play. His explanation? Soon, we learn of a story about one of the players’ grandmothers, Countess Anna Fedotovna, who when young apparently had a supernatural ability to pick the winning cards in the game of Faro (I think this is the game being played in the story, though it is not specifically named). Tomsky, the grandson, marvels about how he doesn’t understand why she doesn’t play, what with such an ability at her disposal. 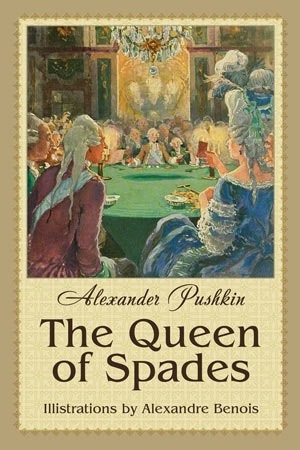 The only thing I know about this story is that Tchaikovsky wrote an opera, “The Queen of Spades,” loosely based on this story. I’ve never heard it, and I don’t think it is performed very much, at least not in this country. 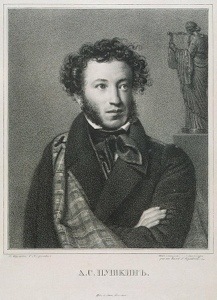 Hadn’t heard that about Tchaikovsky. Thanks for sharing! This is one of the Russian stories I’ve heard of the most – but have never read. Sounds worth reading even if it wasn’t a favorite. 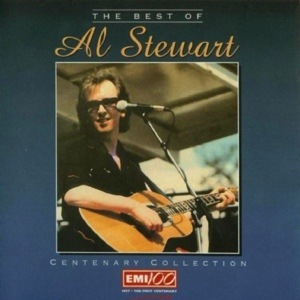 And great Al Stewart lyrics! Not, I’m sorry, not truly Russian? Could have been written by a generic American magazine hack? Ha ha ha ha ha!